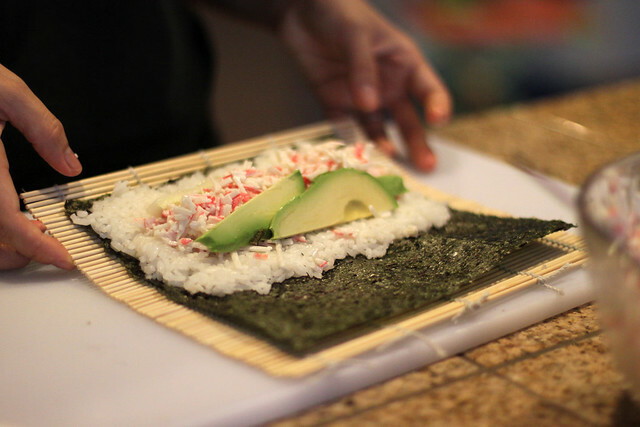 I’ve seen many variations of a California Roll, but the basic ingredients in most California Rolls are Nori seaweed, sushi rice, imitation crab, cucumber, and avocado. My mom’s idea of great Japanese Food is enjoying a nice big fat California Roll with ginger, wasabi, and soy sauce. Everyone else in the family disagrees, but California Rolls make her happy since she doesn’t really like the raw fish in sushi. 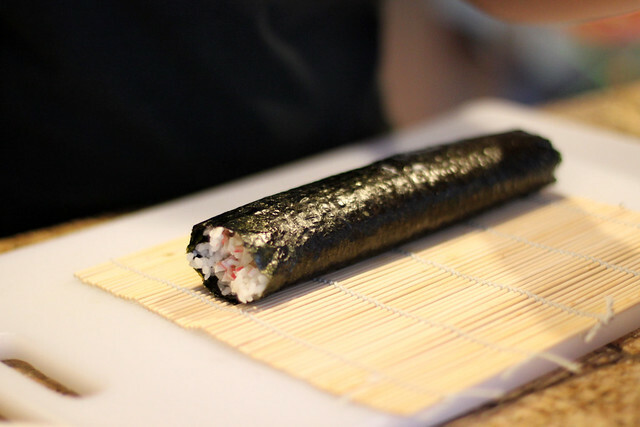 In this recipe, you’ll notice that the Nori is on the outside and not on the inside of the roll. That is how Jane likes to roll it and I think that’s what makes our California Roll unique. 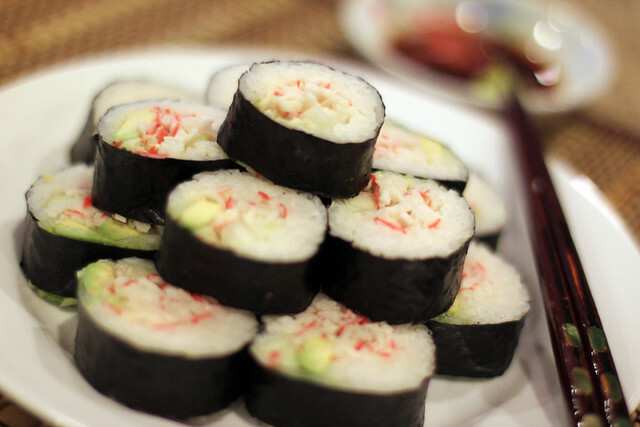 I had a hard time listing the exact amount of ingredients used for this recipe because we just prepared all the ingredients and rolled until we ran out of Nori or rice. 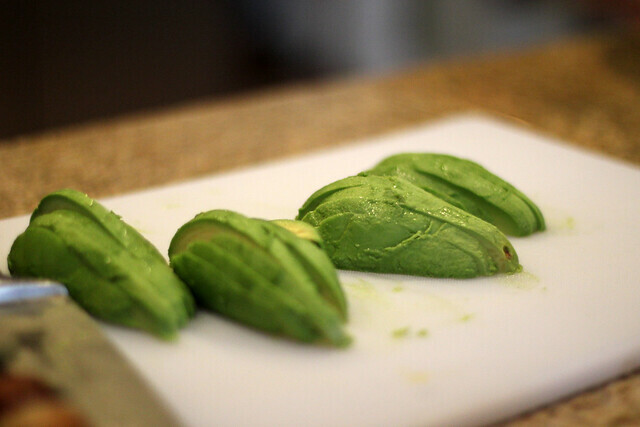 This is a fun cooking activity to do with family and friends. Try it! 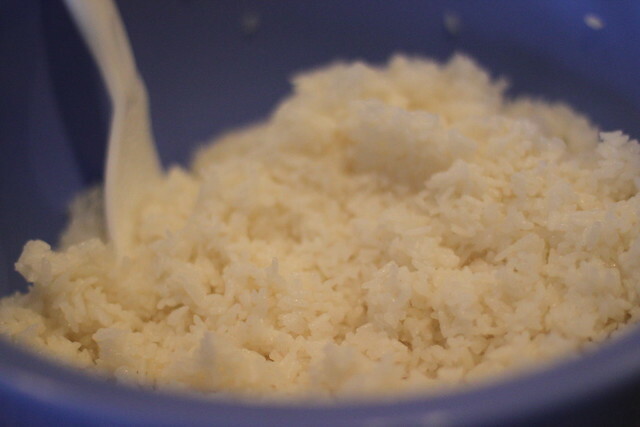 Cook sushi rice according to instructions on the package. 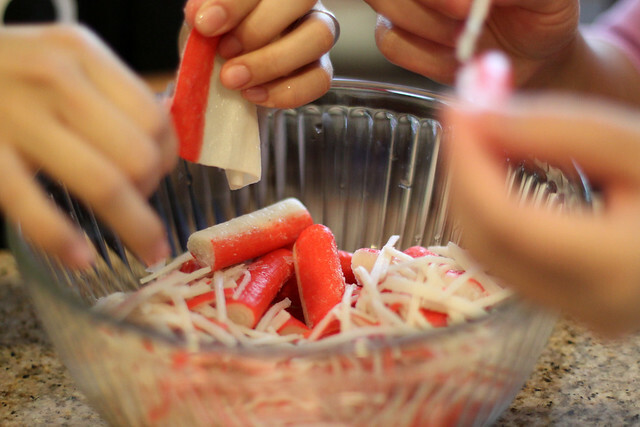 Put imitation crab in a bowl and mix with mayonnaise. 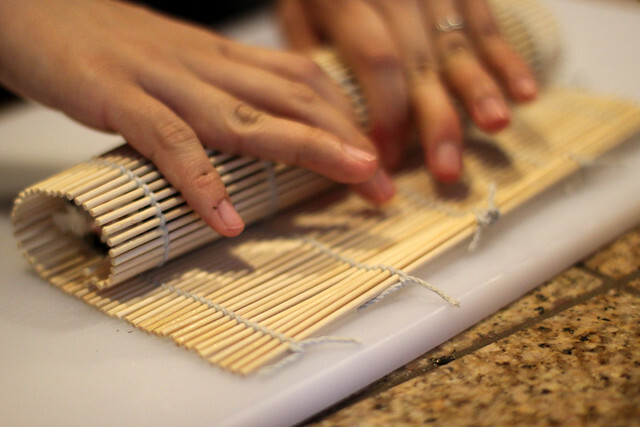 Cover a bamboo mat with plastic wrap (Optional). Put a sheet of dried seaweed on top of the mat. 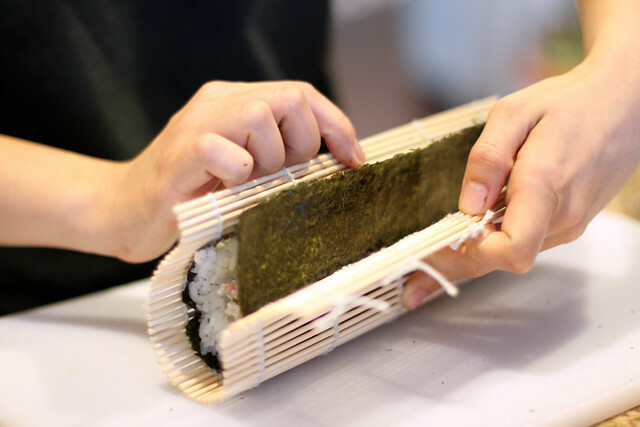 Spread sushi rice on top of the seaweed and press firmly. 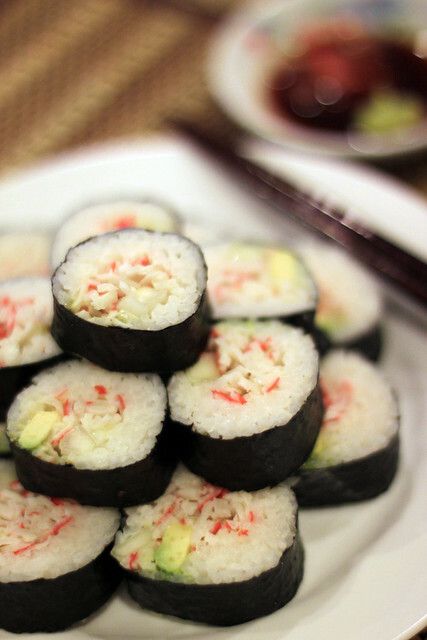 Place avocado, cucumber and crab horizontally on the seaweed. 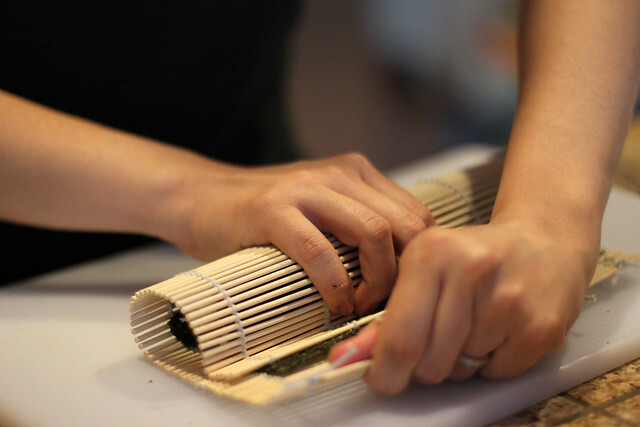 Roll the bamboo mat forward, pressing the ingredients firmly inside the cylinder-shaped sushi. 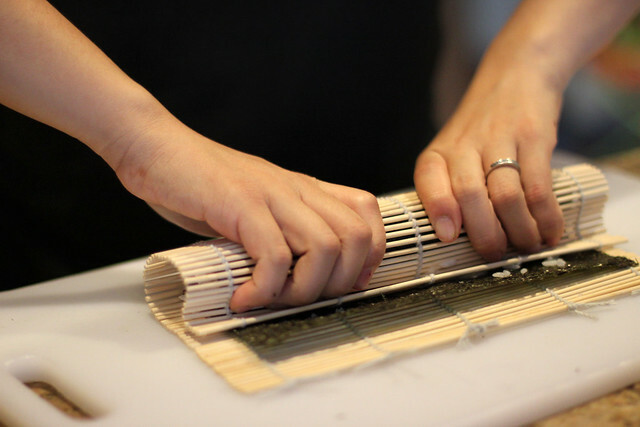 Cut the sushi roll into bite-size pieces.